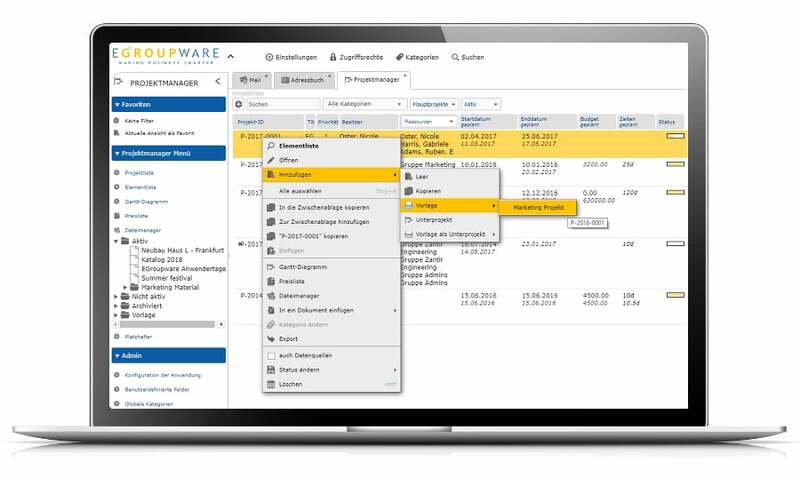 The EGroupware Project Management Module supports your colleagues in the planning and execution of projects. I can adapt the agile rights management optimally to customer requirements. You can use the project manager to define project hierarchies and plan employees. All project participants are continuously informed about the current status. 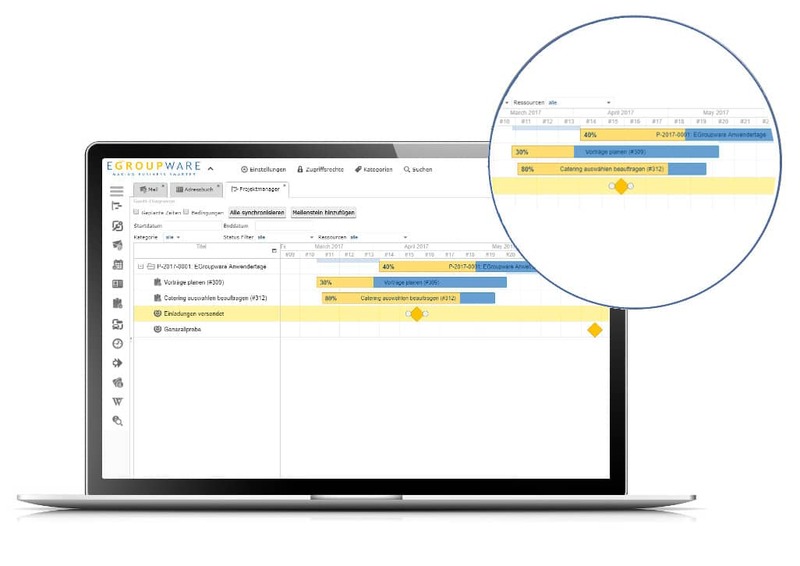 Plan your budgets or visualize your project progress with the Gantt Chart. With the help of template projects it is possible to create new projects faster and easier. In doing so, you also access a previously created project structure. 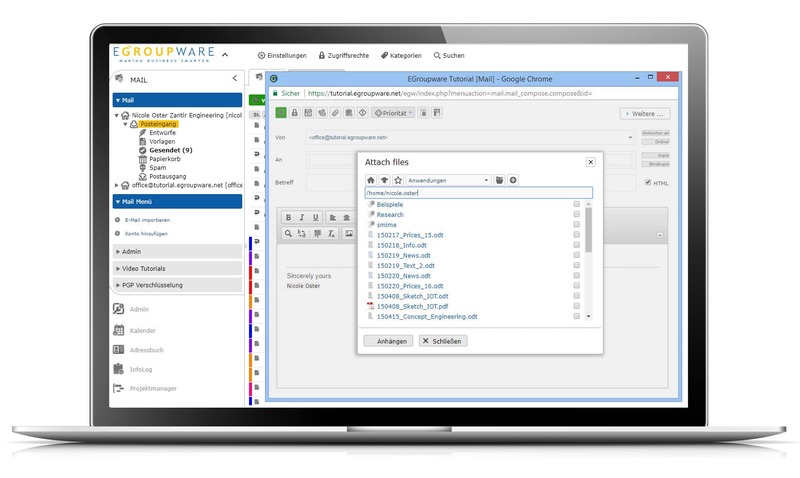 With the integration into the EGroupware File Manager you can easily link attachments from the file management or e-mail module to your project. You don’t have to upload the attachments from your computer first. The simple storage of e-mails in the project manager makes it possible to link your information directly with the sender and your project. You use the project manager as a central source of information for your digital office. This facilitates cooperation with colleagues and external partners. In addition, you can also send particularly large files via a sharing link and you will receive a kind of separate data exchange directory in which external files can be uploaded again on request. Plan employees, budgets and resources with the Project Manager module. The project manager makes it easier for you to document target and actual times. Create a time statement directly from the main project or from a subproject or task that you have delegated to the employees responsible. A list view, user-defined reporting and a Gantt chart are available for visualization. You can also use the Gantt Chart as a planning aid to edit your tasks and their status. Set milestones and divide your project into sub-projects and individual work steps. Shifting individual tasks is much easier and more intuitive in the Gantt chart than in a list view. Who can access a project, edit or even delete certain parts of a larger project? With the role-based permission system, you can easily implement special roles for all projects or just for a specific project. This determines who is allowed to display, change or book the budget. This ensures that access to sensitive data is protected at all times. You can use the concept of user-defined fields to define your own fields and insert additional information there. All changes are saved in the history function and no data is lost. Depending on the application, projects can be structured in a very similar way. Especially in the construction industry this is very often the case. Then you benefit from the possibility to create your own project templates. You can define a template project from an existing project. All subprojects, elements and subelements are taken over and are now available for the creation of new projects. This saves a lot of time. 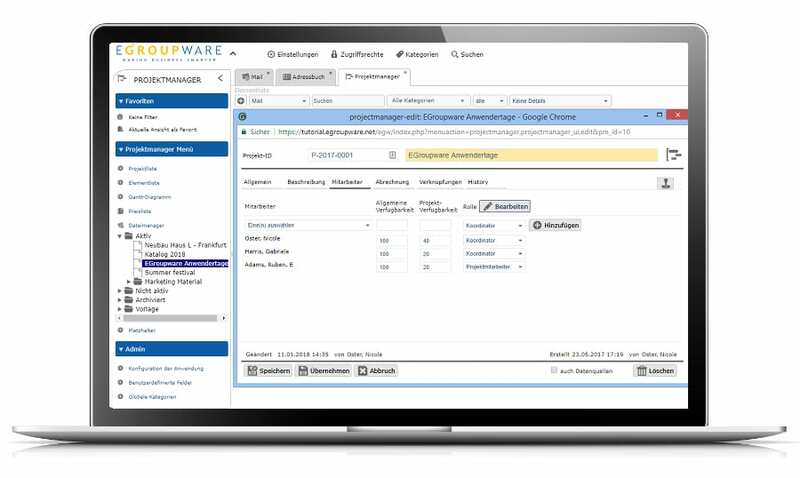 EGroupware is available as a cloud solution in our German data center or as an installation package for Linux environments on the local network. Individual server implementations for Linux environments are available on base of EGroupware‘s installation packages. Installation instructions for UCS can be found in the Univention section. With the mail module of the groupware you offer your team an optimal communication tool. 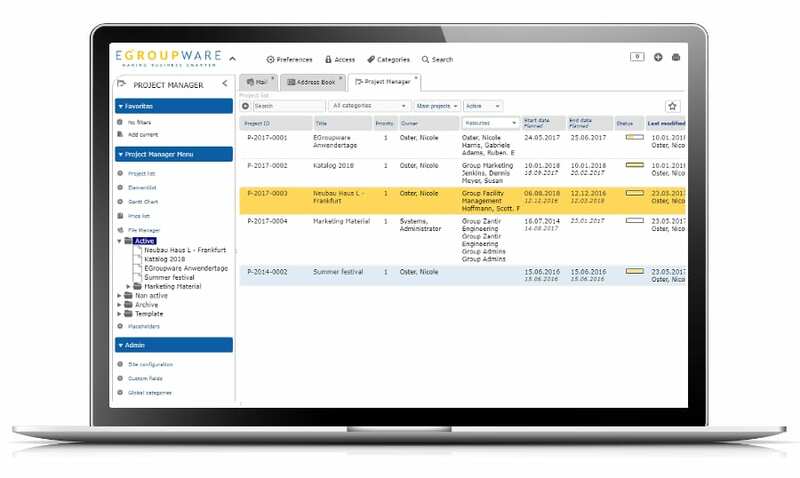 Try EGroupware’s email, group calendar and project management modules now for free!